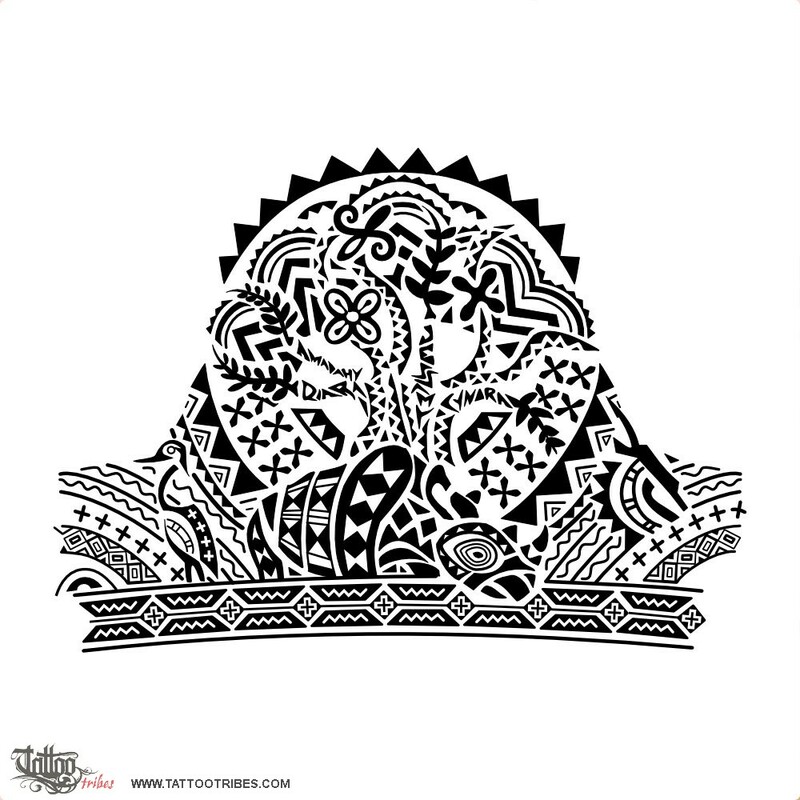 The main elements are the baobab tree and the rhino, which symbolize life and positivity, protection and longevity. We placed the tree in the center to recall the meeting tree in the center of African villages, where the community would gather, with the names of Greg´s family members shaping some of the branches, each with a plant nearby symbolizing abundance. Other symbols among the branches are for cooperation, prosperity, confidence. 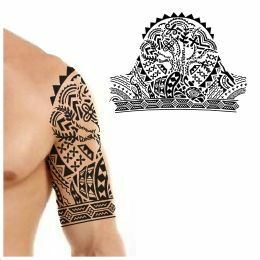 The sun is for life and eternity with symbols for sweetness inside of it while elements in the armband represent the married man, the warrior. A crane (prosperity) and an antelope (protection) guard the sides and are flanked by symbols for water and fire.